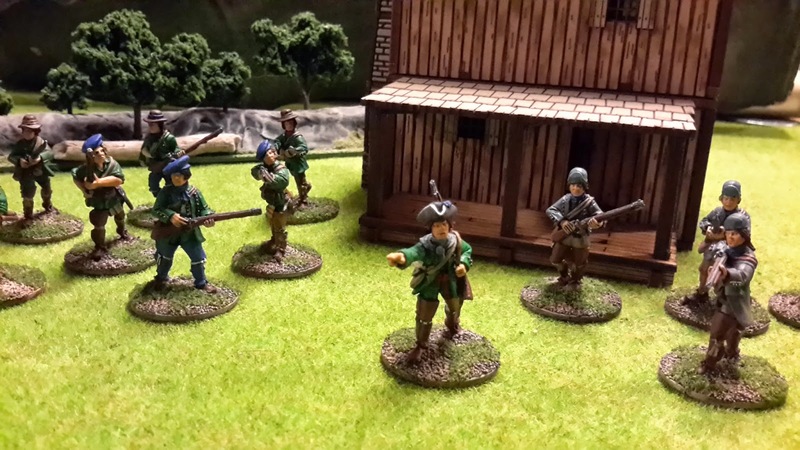 I finished painting up two units of Rangers for Muskets and Tomahawks. They are from the British Wilderness Force set (North Star Figures) and had been "aging" in my lead pile since NashCon 2013 (I shall paint no lead before its time!). They turned out to be easier to paint then I had expected - nice casting. Their Indian allies are next. 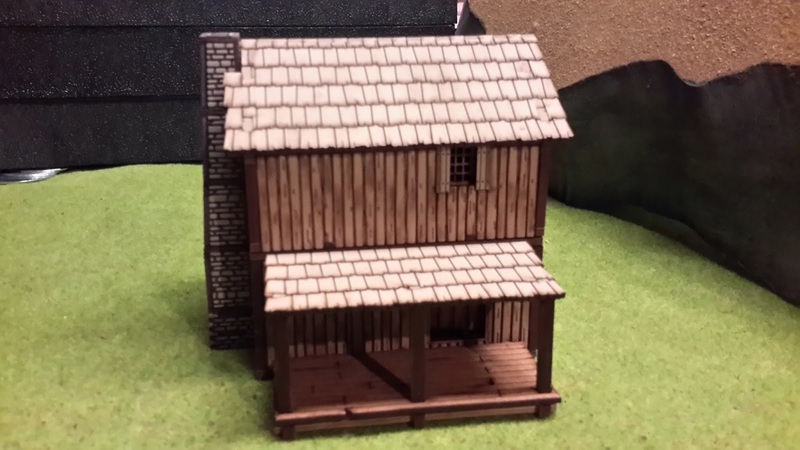 I also put together a New France Settler's Lofted Log Cabin 4 from 4Ground. 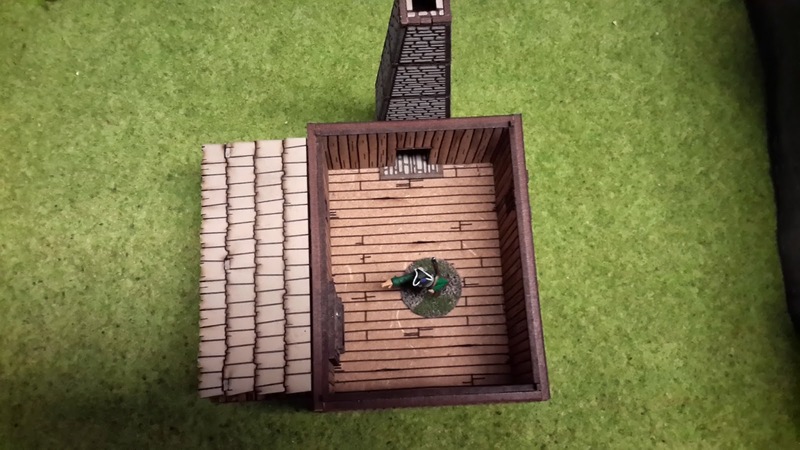 It went together as easily as the other four 4Ground buildings I have - no problems. 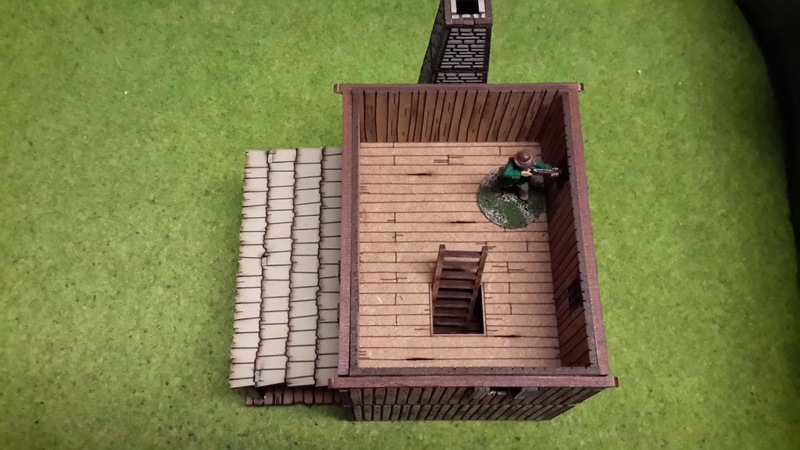 I primarily game World War II using Battleground World War II rules (with some modifications). The scale/size I use is 25/28 mm for figures and 1/48 and 1/50 for vehicles. 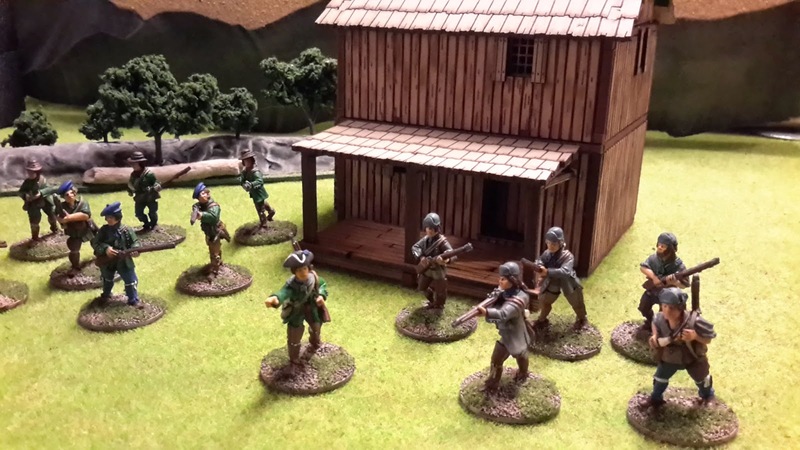 I also play SAGA, Muskets & Tomahawks, Combat Patrol, Look Sarge: No Charts, GASLIGHT, and several more. H.A.W.K.S. 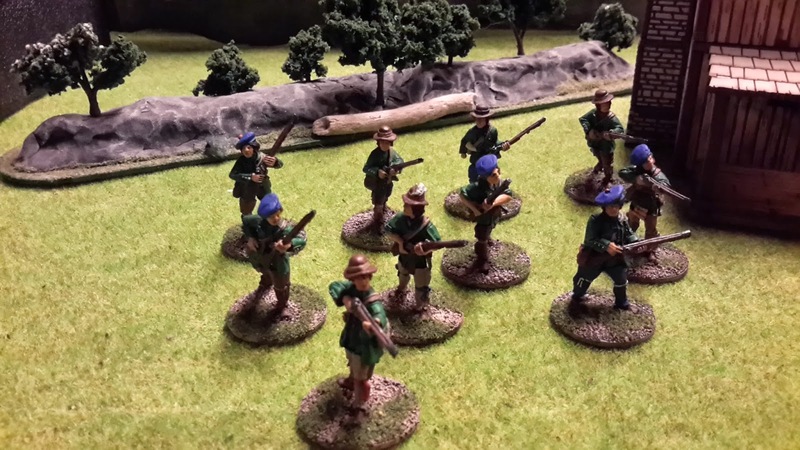 | Combined blog for the Harford Area Weekly Kriegpielers (HAWKs).